100 million children in the developing world sit in classrooms without being able to see the blackboard clearly. In a bid to help combat this shocking statistic, ChildVision is launching a crowdfunding campaign to distribute their innovative, self-adjustable glasses to those who need them most. Poor vision has a significant impact on the education, quality of life, and economic potential of young people. Professor Joshua Silver created the first self-adjustable glasses, the Adspecs, an invention that led to his nomination as ‘Inventor of the Year’ in 2011 by the European Patent Office. The glasses are based on a fluid-filled lens technology that the user adjusts until they can see clearly. While Adspecs were designed for adult use, ChildVision glasses use similar technology but the glasses have been developed specifically for young people aged between 12 and 18. Check out the video with campaign supporter, BBC Radio 2 presenter, Chris Evans. Aesthetics are very important, particularly among teenagers. With that in mind, the ChildVision frames are small, light and attractive and have been designed to withstand challenging environments. 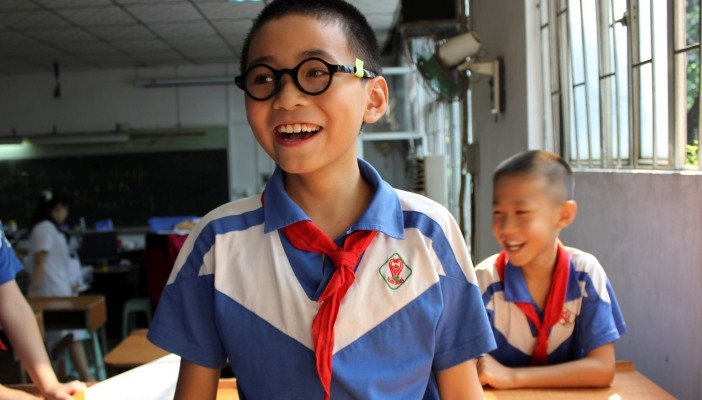 The ChildVision team is hoping to raise £800,000 on the crowdfunding website Indiegogo and aims to distribute up to 50,000 pairs of these glasses to children in schools across Africa, Asia and Latin America.